Space lover will have an amazing time on Sunday, February 26 as it will be the first solar eclipse of this year. The Solar eclipse will be visible in certain areas around the world. If you are at the right place, there are chances you will see the solar eclipse. This will be called an annular eclipse. During the phenomenon, the moon will block the sun, leaving only the outer edges visible from earth forming a ‘ring of fire’. The annular eclipse is a type of solar eclipse when the sun, moon, and Earth line up making the moon cast its shadow on Earth’s surface in a partial or total solar eclipse. While the annular and total solar eclipse is the result of the same celestial geometry, the former one is different in one important way. The moon is generally very far from the Earth leaving the edges of sun-exposed producing “ring of fire”. The moon is generally very far from the Earth leaving the edges of sun-exposed producing “ring of fire”. Unfortunately, India will not be able to witness the eclipse this time. Skygazers in American and South Africa will be fortunate enough to see the rare phenomenon. The eclipse will be visible in countries like Chile, Argentine, Angola, Zambia and the Democratic Republic of Congo. The eclipse will begin in the southeast Pacific Ocean during sunrise and will move to southern Chile and proceed to Argentina and South Atlantic. The eclipse will then be visible Angola and move to Zambia and finally Congo. The celestial phenomenon will last for two hours and the entire ‘ring of fire’ will be visible for a minute or two. National Aeronautics and Space Administration (NASA) took to Twitter to share the news early this morning. It is essential to observe eye safety using a proper solar filter during viewing all phases of this eclipse. It is advisable to use pinhole projector to view it. Residents of North America will have a chance to see an eclipse later this year. 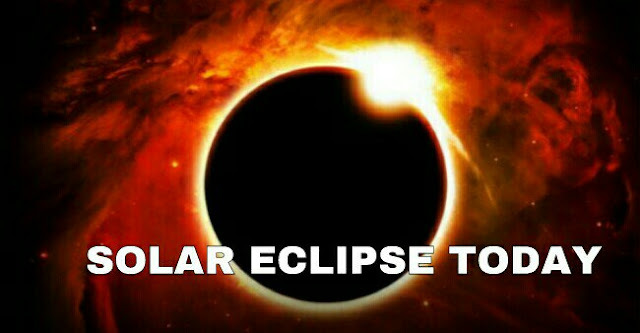 A total solar eclipse will cross the United States on August 21, 2017.